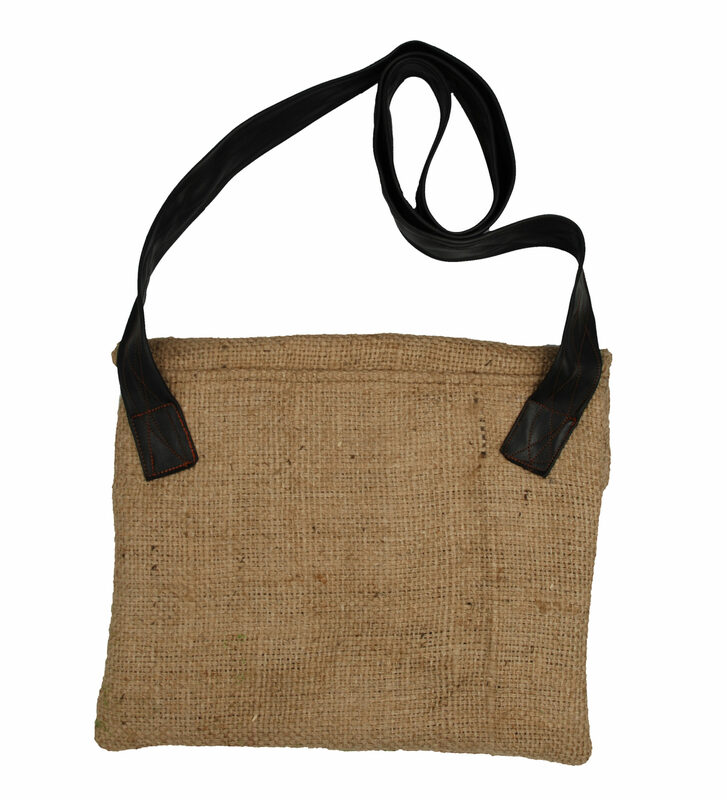 SKU: 5060559770439 Categories: Bags, Products, Coffee Sack Products, Everything Else Recycled! 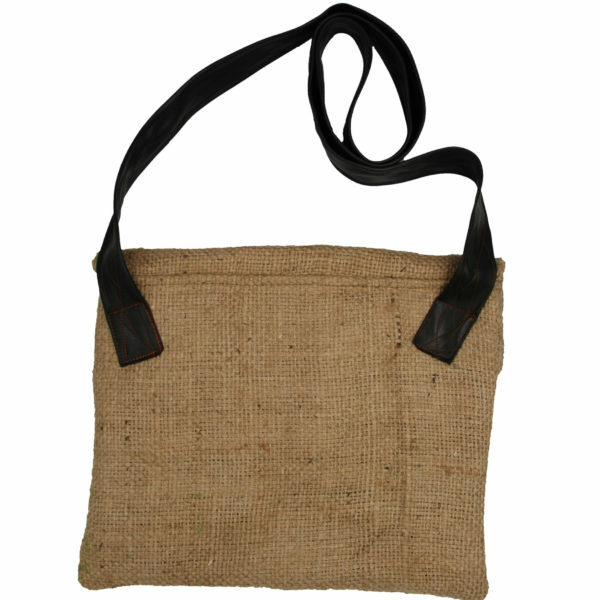 A great back to basics bag! 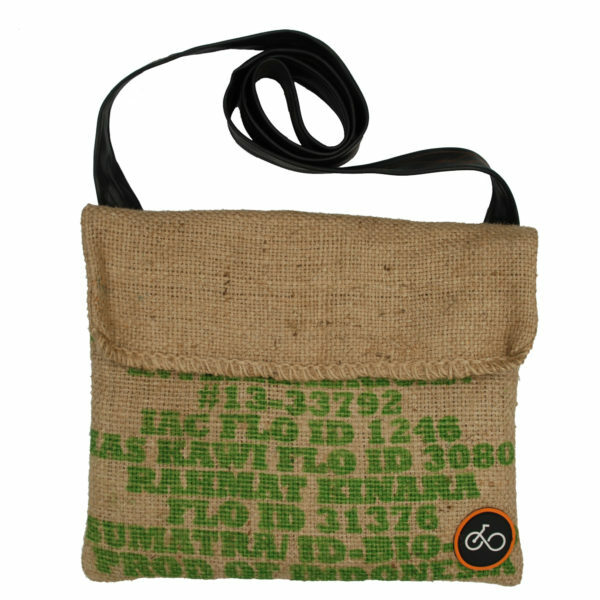 This coffee sack musette has a long recycled inner tube strap meaning the bag sits perfectly across your body. 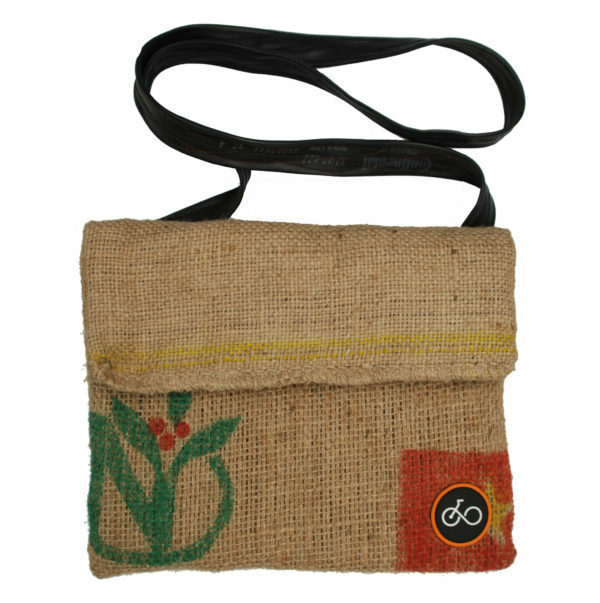 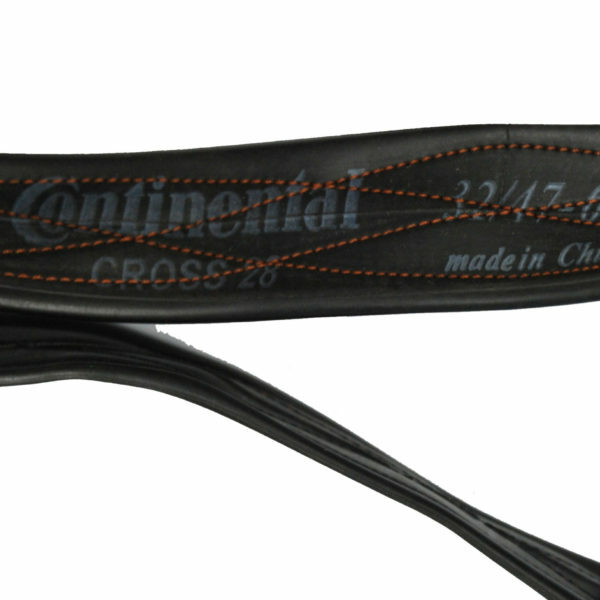 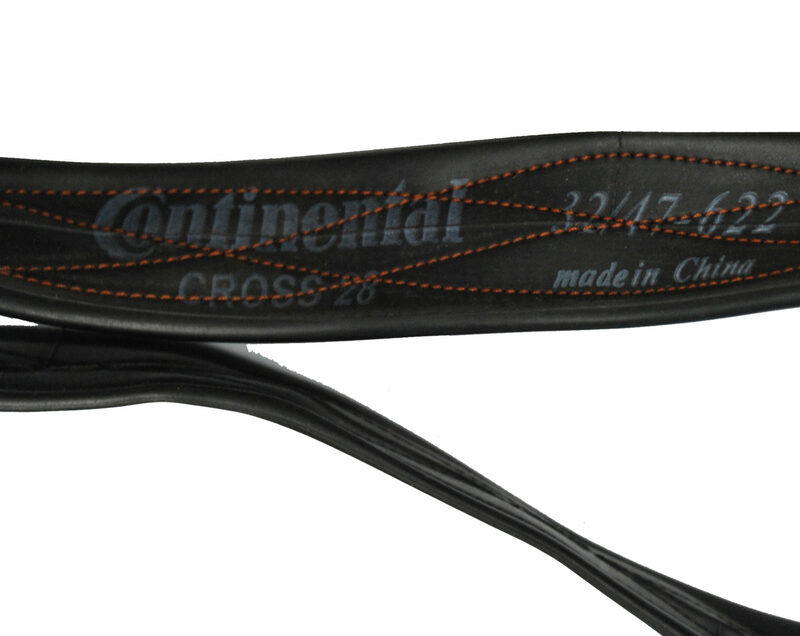 Sling it on for cycling or for the bus commute to work. 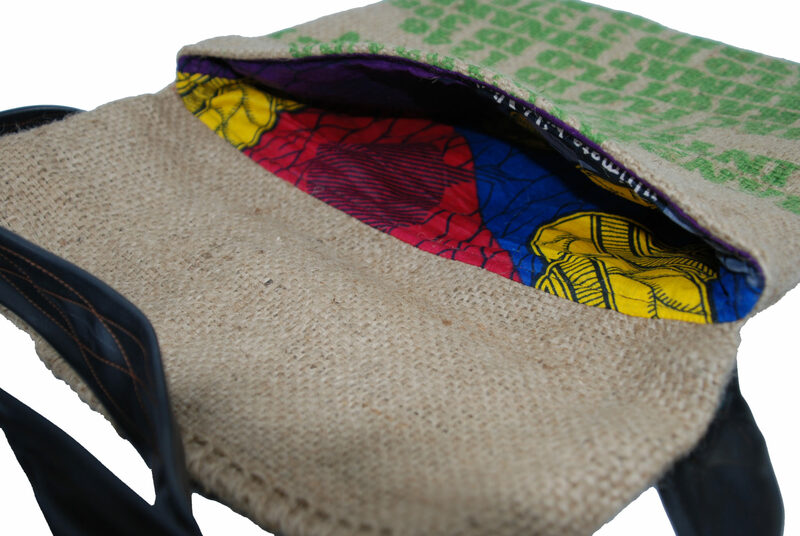 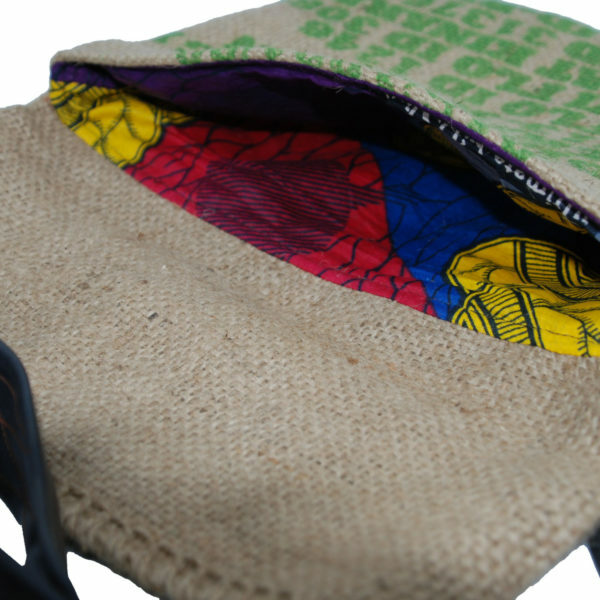 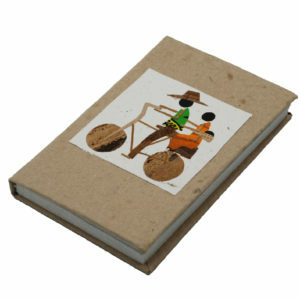 It’s made from old coffee sacks and inner tube and it’s lined with eye catching “chitenge” or wax-print 100% cotton. 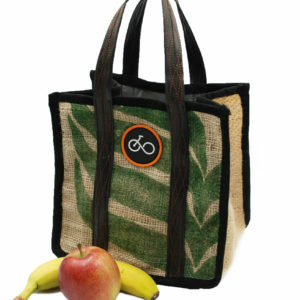 Each bag is unique depending on the graphics on each individual sack, so your bag may be slightly different from the one pictured. 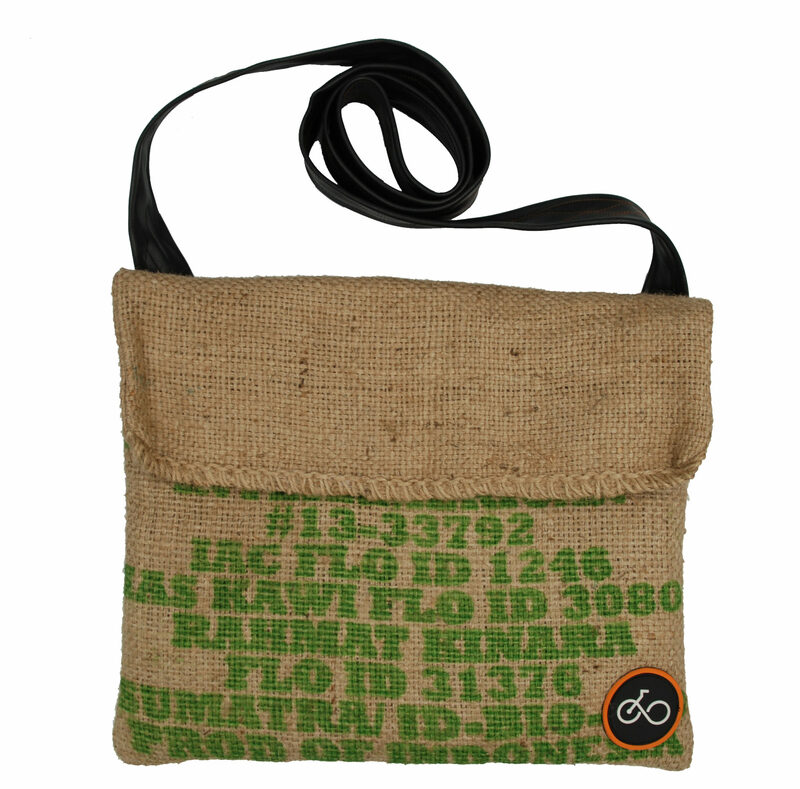 No Velcro, no zips, no fiddly catches, just a great simple, low impact bag. 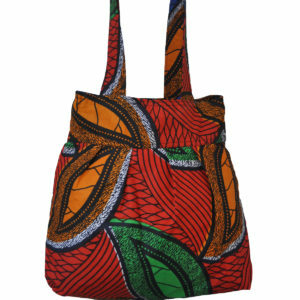 Handcrafted by fairly paid tailors in Malawi.